Confetti Babe: ▶ Hello Everyone! 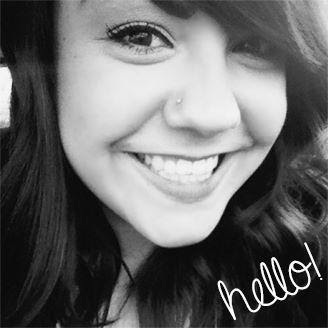 My name is Misty and I blog over at Us + Him! I am Canadian, and mama to an 18-month-old girl named Brynn, who I call B for short. She's my pride and joy. 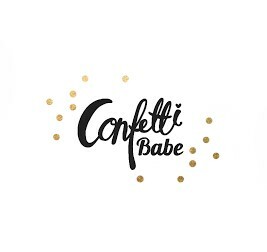 I am super excited to join forces with these amazing mamas here at Confetti Babe, and I hope you will follow my adventures both here and on my blog. A little about me - I'm 28 (and a half, if you wanna get technical), born and raised in the city I am currently still living in. I love chicken wings, paper crafts, Target, wash tape, home decor, and the colour aqua. I own my own shop called Pippin Pops - which sells felt balls/garlands. I also sell cell phones part-time! When I'm not doing those things, I'm mama and girlfriend, but that's really my #1 and most important job (as I'm sure you all understand very well!). I like to blog and create and spend time with friends and family when I have spare time. I may or may not be known to wander the aisles of Target for hours on end (not for long though since Target is leaving Canada!). Since I have my own shop, and have had other shops in the past, I LOVE to support independent shops and handmade! In the future you can expect lots of posts about shopping, recipes, DIYs, and tips and tricks for life from me (and more of course! ).